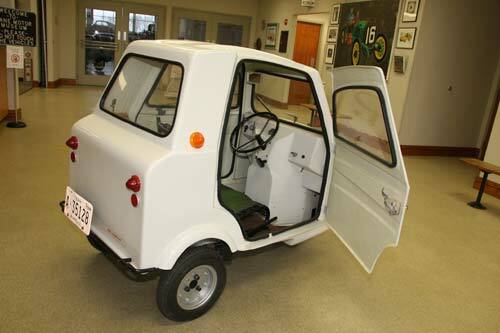 The “L-Category” is a class of cars and mopeds in France that can be driven without a driver’s license. 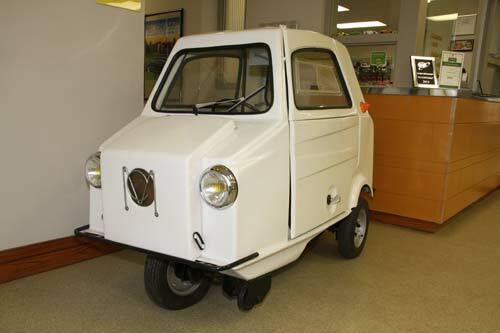 This new category called sans permis (without license), began in the mid-1970s, and ACOMA became a large manufacturer of these modern microcars, taking 30% of the market. 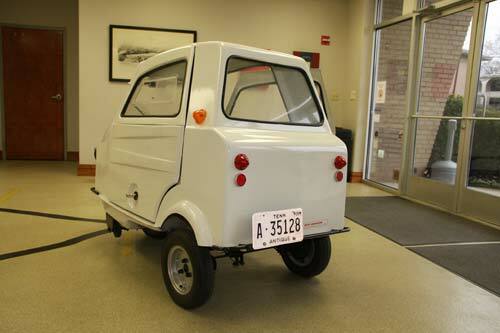 In fact, in 1979 ACOMA was the largest manufacturer of microcars in France. The owner’s manual recommended that the new owner take driving instructions from the dealer if unfamiliar with driving a 3-wheeled car. ACOMA made six different models during its 9-year existence – the Mini-Comtesse was the smallest. 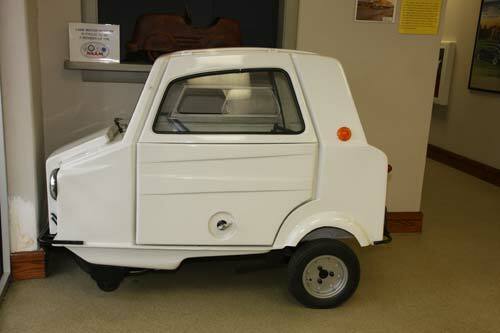 Its diminutive size and 3-wheeled configuration made it very unstable, so the company added two training wheels to the front to prevent it from rolling over! The Mini-Comtesse also had a very unique “pedal feature.” The Sans Permis French law initially stipulated that the vehicle must have an engine size under 50cc, as well as pedals to propel the vehicle. French officials believed that this would limit the vehicle to mopeds only. ACOMA figured out that they could add an extra pedal in the car that attached to the left rear wheel by a chain, and a one-way clutch. Therefore, the driver can push down on the “pedal” and the vehicle would move forward about 1 ft., let up on the pedal, and again, push another foot. Obviously, this was not a practical means of propulsion, but it satisfied the law. Within a couple of years, the French authorities eliminated this part of the regulation. The Mini-Comtesse also had a unique door arrangement. Being a 1-seater, it would be plausible to think the car only had one door, but the Mini-Comtesse has a conventional door on one side, with a folding “gullwing” door on the other side. The reason for this was because the car was so short, the driver was allowed to park perpendicular between two parallel parked cars. When this was done, there was very little room to get out; hence, the gullwing door.